There are plenty of card games out there, but perhaps you have been looking for something different, a simple and unique card game, with some fast-paced action? If so, welcome to Dragon Tiger, Evolution Gaming’s offshoot of the popular card game Baccarat. Often described as a two-card version of Baccarat, Dragon Tiger is extremely popular with players from Asia and its popularity is growing around the world. Dragon Tiger is one of the simplest card games out there, but the fast-paced rounds will keep players on their toes, as each round only lasts 25 seconds, and set in the live casino environment, players will be immersed into a world of gaming, with a beautiful themed background and special effects synchronised with the game outcomes. Evolution Gaming’s Live Dragon Tiger is based off the game of Baccarat, so any Baccarat fans out there are sure to enjoy the sped-up version of the game. Whereas in Baccarat each card has a point value, in Dragon Tiger only two cards are dealt; the Dragon and the Tiger. These two cards compete with one another and players must determine as well as bet on which card will have the higher value, or whether the hand will result in a tie. It doesn’t get much more complicated than that, but there are some extra special features which players can access and which you can read about below. Dragon Tiger includes an optional side bet where players can bet on whether the cards will be equal in rank, irrespective of suit. If a player does place a Tie Bet and the result is in their favour, half of the player’s Main Bet is returned and the Tie will payout at 11:1. Another optional side bet is available for players on Dragon Tiger, and for this bet players can try their luck at determining whether the cards will be both equal in rank and suit. For instance, you might have two cards both showing a six of hearts (same suit ties are possible in Dragon Tiger as the game is played with eight decks of cards). If a player has indeed placed a Suited Tie Bet and they get the desired result, then once again, half of the player’s Main Bet is returned and the Suited Tie will, this time, payout at an attractive 50:1. The User Interface is designed to make players’ lives easier and offer them a gameplay experience that is very smooth and enjoyable. It includes a full range of statistics and road maps to help players out when trying to determine the outcome of upcoming rounds. 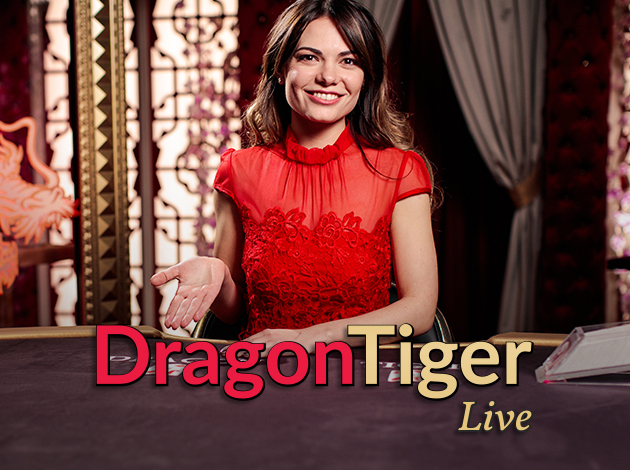 Dragon Tiger is a simplified version of Baccarat, and the Dragon (found on the left-hand side of the live casino screen) is the dealer, while the Tiger (found on the right) represents the player. Players can choose to bet on either the Dragon or the Tiger, and the highest card wins. The highest card would be the King, the same as in Baccarat, and the game rounds are as fast as lightning, with only 25 seconds in total for each round. Stakes are shown at the bottom of the screen, and players also have the option of doubling their bets. Dragon Tiger is a live casino game and is in a real-world environment, with a live table and dealer. The background is stunningly decorated, with sumptuous Chinese-inspired red and white details, along with the majestic Dragon and Tiger themselves on each side of the dealer. 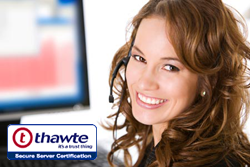 The user interface is at the bottom of the screen for quick and easy access. On the right hand side of the screen are the handy user modules where players can Chat, Switch Views, access History and Help, have a look at the Road Maps (all in one location) or access many other options to enhance your gameplay. You simply cannot go wrong with a classic card game like this! Dragon Tiger provides players a great modern new take on the popular game of Baccarat, by considerably simplifying the gameplay and bringing it down to the basics, offering a whole new experience in the world of card games. With its simple betting strategy and fast-paced rounds, this is an exhilarating approach to playing card games. Players can up the ante with the two special bets featured in the game, which can provide some pretty good payouts depending on the bet placed. The attractive background coupled with the excitement and intrigue of a live casino makes this card game a true winner, no matter what hand you are dealt. Sign up to Videoslots.com today to check Dragon Tiger for yourself and experience what his exciting game has to offer. Evolution Gaming was founded in 2006 and since then, they’ve managed to revolutionise the European live dealer platform around the world. Their headquarters are in Riga, Latvia, but a majority of the employees are based in Malta as well. Since its conception, Evolution Gaming has become a leading B2B provider of Live Casino systems within Europe today. Their Live Casino consists of real-life dealers that run the game in real-time on a casino gaming table just like you would find in a real-life casino. Players can engage with the dealer via a live streaming video link. Essentially, they’ve given players the option to go to the casino from the comforts of their home! The vision at Evolution Gaming is to be the leading Live Casino provider in the world whilst ensuring that they create an unforgettable user experience as well as make operators successful. They accomplish this is by offering a localised Live Casino experience into regulated markets available on all digital platforms for online and land-based game operators, and players too. Evolution Gaming is working towards maintaining and strengthening its position as a top Live Casino provider, while keeping up-to-date of developments within the global gaming market. You can check out a wide variety of live Evolution games like Blackjack, Roulette, Baccarat and much more at Videoslots!